In 2014, Saluki junior pitcher Hunter Hart was drafted by the Baltimore Orioles in the 37th round (1,111th overall) of the MLB June Amateur Draft. 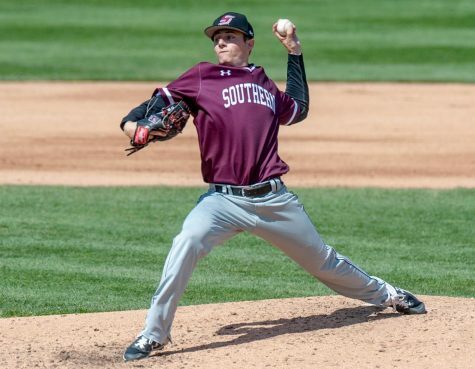 Choosing college over the pros, he is now waiting for his chance to take the mound for SIU. Hart’s baseball career began young, yet he said basketball was his sport of choice in his early years. It was Hart’s mother that played muse to baseball in his life. Hart went on to play baseball, basketball and football for Saint Joseph-Ogden High School, where he said his love for baseball truly set in. He also credits his high school baseball coaches with having the biggest influence on his development in the game. College recruiters took notice of the pitcher’s talent early in his high school career with about 10 to 15 colleges contacting him. 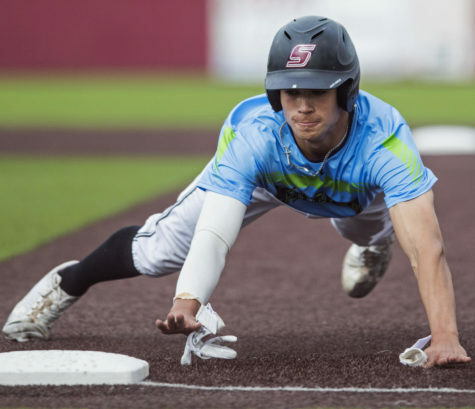 SIU was one of the colleges to contact Hart while he was in high school, but they were unsuccessful in recruiting the young pitcher, who chose to sign a four-year commitment to Indiana University. Major League scouts were also aware of Hart’s success on the field. He said he spoke with scouts from about 20-25 MLB teams out of high school. Yet a knee injury late in his high school career shortened Hart’s senior baseball season and affected his choices moving forward. Regardless of the injury, the Baltimore Orioles chose to select the young pitcher in the 37th round of the 2014 MLB June Amateur Draft. The Orioles offered Hart a $107,500 signing bonus and school costs to play for the Orioles minor league affiliate in the Gulf Coast League in Sarasota, Florida. With the injury affecting Hart’s ability to perform at his best, he chose not to accept the Orioles’ offer. The injury also played a role in his choice to rescind his commitment to Indiana, the Saluki hurler said. Hart decided his best option was to enroll at Kaskaskia College in Centralia and allow his body to heal correctly and completely. Hart compiled a 10-0 record as a healthy starting pitcher in his freshman year at Kaskaskia College in the spring of 2015, leading to him be named 2015 Region 24 Player of the Year to go along with 2015 NJCAA All-American third-team honors. By attending the junior college, Hart retained his draft-eligibility for the 2015 MLB June Amateur Draft. He would go undrafted in 2015. Hart signed on with the University of Arkansas as a scholarship athlete for the 2016 season. 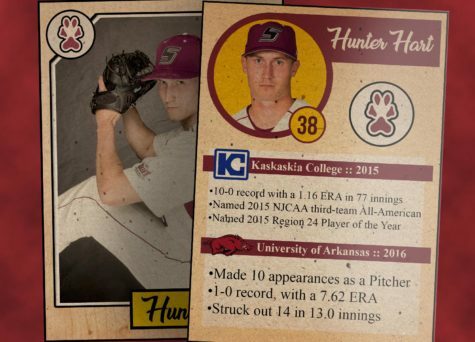 During his sophomore year at Arkansas he made 10 appearances, compiling a 1-0 record through 13.0 innings as a reliever. This was Hart’s first taste of Division I baseball at the college level, and he recognized the knowledge he gained from the experience. 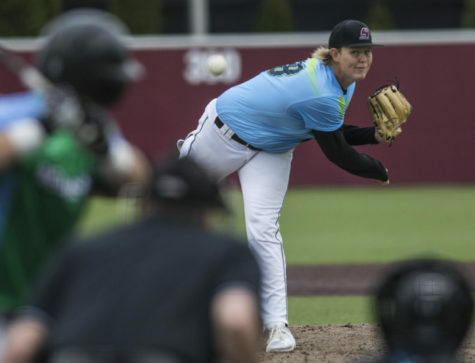 “I now know more about the business-side of baseball after being a part of Arkansas and how it all runs,” the Saluki pitcher said. 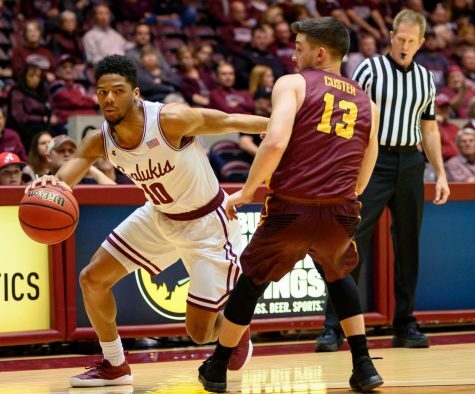 Following his sophomore year at Arkansas, Hart decided to make the transfer to SIU in the fall of 2016. 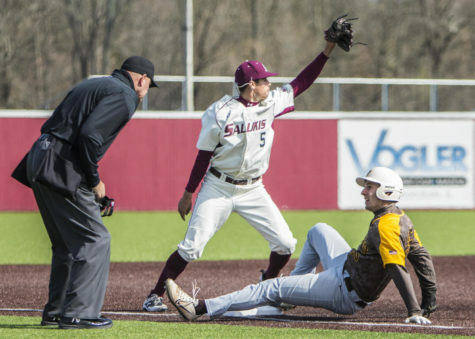 Hart is not eligible to compete with the Saluki baseball team this season, as NCAA transfer rules require him to complete one full “academic year in residence” before he will be eligible to play baseball for Southern. 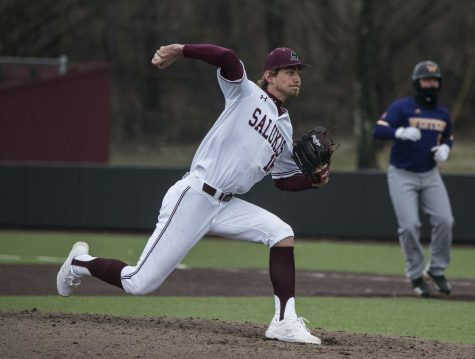 The Saluki pitcher explained his motivation for the transfer, knowing he would have to sit out the entire 2017 baseball season. 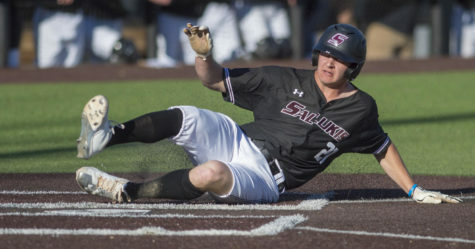 As a transfer student-athlete on the Saluki baseball team — and the only player on the current Saluki baseball roster to have been previously drafted by a Major League team — Hart has unique experience at the college baseball level. Hart said he is also open to sharing any lessons he has learned through his own personal journey with his fellow players. With the 2017 MLB June Amateur Draft looming, Hart said student-athletes chosen in the draft will face a difficult choice. Though Hart may not be eligible to play on the field this season, he participates in weight-training and other facets of the game with the team. Hart said he feels this is an integral part of the team dynamic that Head Coach Ken Henderson instills in his players, and drives the team to be the best they can on and off the field. Hart said his goals for the future begins with proving himself to the team next season. Hart also said he hopes his Saluki tenure isn’t his last time on the field. 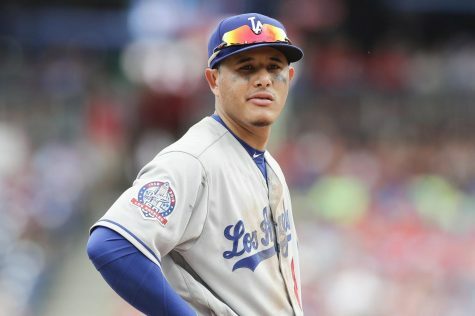 “That is my ultimate goal, honestly, to be able to stay in pro ball … as a player and then as a coach,” he said. 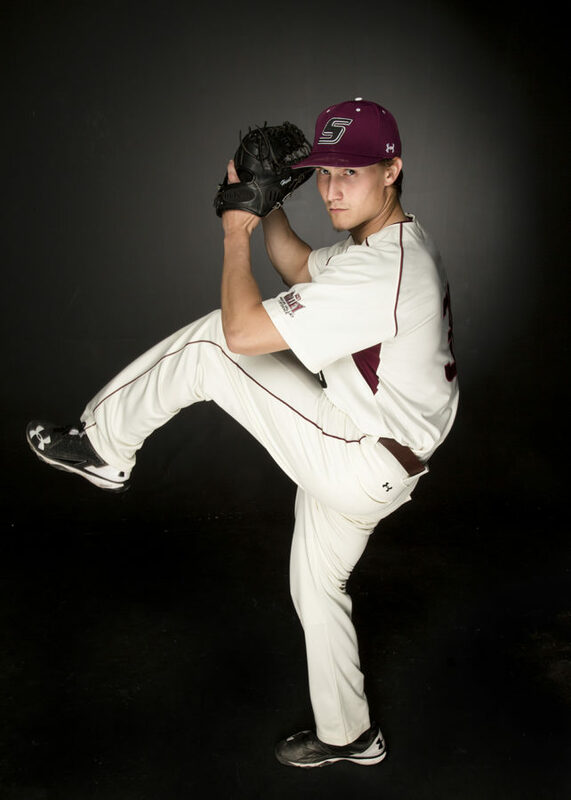 Hart is expected to make his first appearance for the Saluki baseball team as a pitcher in the 2018 season. 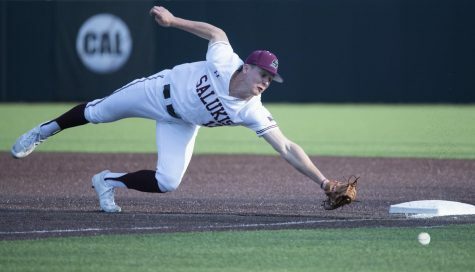 Until then, Hart said he will continue his role in support of the Salukis off the field as they look forward to the 2017 MVC Baseball Championship where an automatic berth into the 2017 NCAA College World Series will be on the line. ‘Player Profiles’ will feature information on a new Saluki athlete each edition throughout the 2017 season.